You may recall that back in 2012 I wrote about an old hand-painted Gillette advertisement I spotted on Oxford Street, created by Harvey & Sons of Fleet Street (as shown in the bottom right corner). 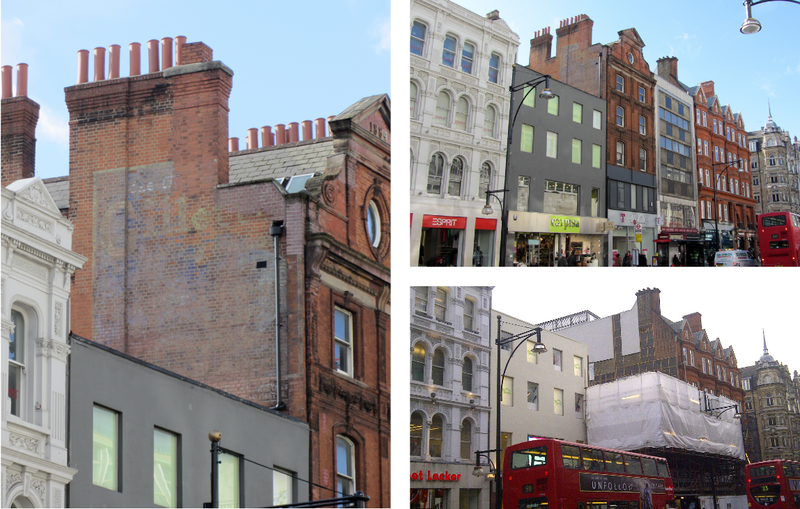 Walking past last week I noticed that the 1884 building it was painted on has been demolished taking with it the ghostsign and all those chimney pots. The building to the right of it has been demolished as well.